Unforgettable Laos | Laos. What a beautiful and unforgettable country. I have always admired its gorgeous landscapes, creeks full of fishes, and abundant rice fields surrounding green hills full of birds singing all the year long. Laos is definitely paradise on earth for nature lovers. Laos. What a beautiful and unforgettable country! I have always admired its gorgeous landscapes, its creeks full of fish, and its abundant rice fields surrounded by green hills full of birds that sing all year-round. Laos is definitely a paradise on earth for nature lovers. Before the war described in this book, Laos was a beautiful and peaceful country where life was slow paced. Inhabitants were kind, friendly and smiling. Their joyous attitude is best described by the famous sayer “bo pen gnan” meaning” that’s ok, nothing too serious”. The magnificent landscape of Laos is the bed of “dock champa”. This flower, “frangipanier”, with a scent like no other is national emblem and has inspired generations of poets and song writers. I am gathering in this book sorrowful events our country has endured, before our generation, among the last witnesses, disappears. 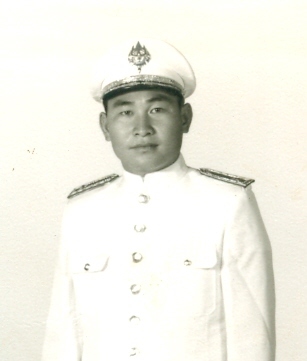 Most of the information and documents I expose are from the periods I was living there, was a journalist for the National Lao Radio, and when I was battalion Commander-in-Chief. Other information come from sources listed in appendix. This book is meant for readers and researchers interested in political and war events having occurred in Laos from the early 1945s to the late 1975s. In a war where the real winners were only foreigners, thousands of Lao people had to seek refuge in other countries, deprived of their Lao citizenship. This book gives insights for understanding the situation, and may serve as a lesson for the next generations so history does not repeat itself. I dedicate this book to my family and my people, Hmong and Lao, so that we will not forget the lives given by conviction for our country. We will also not forget the 46,000 Lao leaders who died in Viengsay’s camp in Houaphanh province at the end of the War. All rights reserved. No part of this book may be reproduced in any form or by any means without the prior written consent of the publisher. For informations, please contact the publisher, Vang Geu.